Cashmere: we all love it. It’s soft, comfortable and effortlessly chic. It doesn’t just perfectly protect you against the chill, ideal for the Scottish winter, but if cared for well, will last you for years. 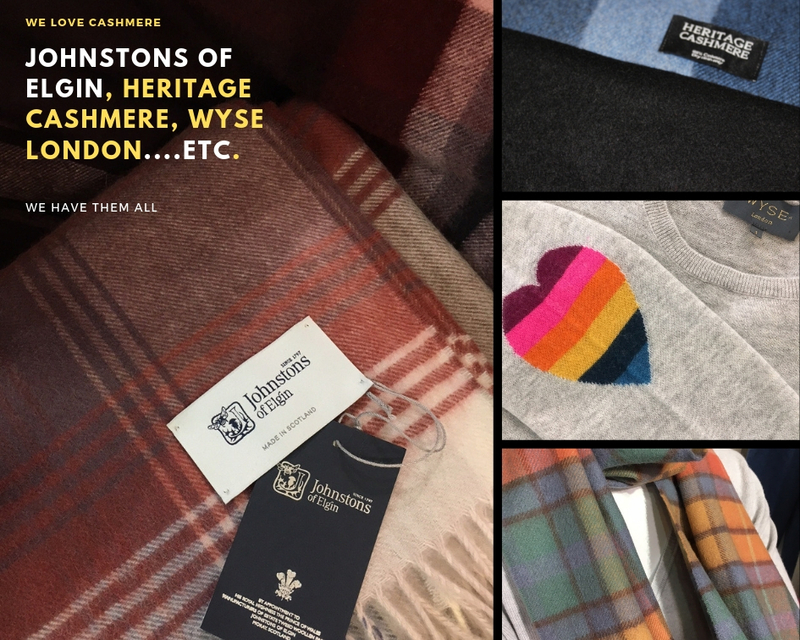 Here at Gretna Green, we have an extensive array of cashmere pieces to suit your fancy- including our own exclusive Gretna Green branded range! The exclusive Gretna Green collection of 100% cashmere garments and accessories offers a little piece of luxury, directly from Scotland’s original home of romance. It is available to see here. Cashmere is versatile in both function and style and with the variety of designs offered at Gretna Green, these pieces can be both formal and casual, a great addition to any wardrobe. 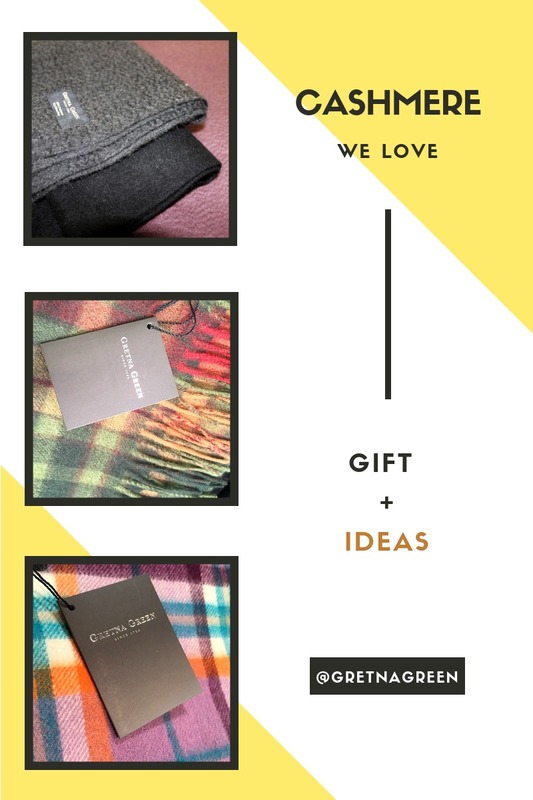 Browse through our elegant and functional collections and fall in love with classic pieces from Turtleneck camel jumpers by Johnstons of Elgin and famous Tartan scarfs by Lochcarron to contemporary brands such as Wyse London, Heritage cashmere and Lona Scott, Gretna Green has it all. Included in our offer is a commemorative rage by Lochcarron, designed to honour Diana, Princess of Wales, and to celebrate her genuine warmth and compassion. Lochcarron of Scotland, the world’s largest manufacturer of authentic tartan, have created unique and stunning array cashmere pieces. The tartan is based on a variation of the Royal Stewart plaid, in colours inspired by the Princess. “The Diana Memorial Rose Tartan” reflects the beauty and warmth exuded by the princess and is an original gift for yourself or someone you love. Pictures don’t do this piece justice as it is sublimely soft with the rose shadings adding a not so subtle air of femininity. Now’s the time to experience it for yourself and try it on! How to care for your cashmere? Whatever your style, the collection of luxury cashmere at Gretna Green is worth a visit. Whether you’re a fan of quality garments or know someone who would appreciate a luxury gift from Scotland, shop with us in store or online. You can take care of your delicate fabric-cashmere by following Vogue’s tips “How to care for your cashmere”.